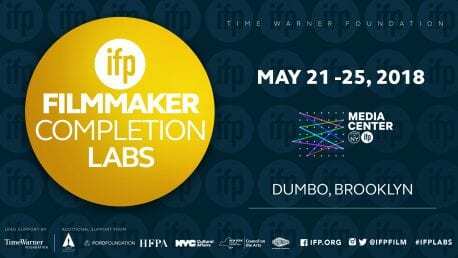 Brooklyn, NY (May 21, 2018) – The Independent Filmmaker Project (IFP) announced today the 20 feature films selected for the IFP Filmmaker Labs, IFP’s year-long fellowship for first-time filmmakers currently in post-production on their debut feature. Combining documentary and narrative features together for the first time, the program begins today, running May 21-25 at the Made in NY Media Center by IFP located in DUMBO, Brooklyn. The Filmmaker Labs continues its dedication to supporting underrepresented voices, with over 60% of this year’s attending Lab Fellows, and over 70% of the directors specifically, being diverse in regards to gender, ethnicity, sexual oreientation, and disability. Furthermore, this year’s Labs projects represent a range of creative visions from all over the world, with films shot around the United States, as well as Brazil, Costa Rica, Ghana, Lebanon, Mexico, Russia, South Korea, and the United Kingdom. • 512 Hours –– For 512 hours, hundreds of thousands of visitors from around the world flocked to experience the latest exhibition by acclaimed performance artist, Marina Abramović. Her idea was simple: remove the distractions from everyday life and experience something new. What that experience would be, Abramović had no idea. It was an experiment, she recognized, that could succeed or fail. • Bloodthicker –– Bloodthicker is the story of Young Juve, T.Y. and Lil’ Soulja Slim, three young rappers and friends whose fathers were three of the most influential Southern rappers. Their journeys to success are fraught with the appeals of excess and the trappings of street culture, immutably influenced by their fathers’ distinct legacies. Zac Manuel (Writer, Director, DP, Editor), Chris Haney (Writer, Producer), Justin Fontenot (Executive Producer). • Border South Under intense U.S. pressure to stem immigration from Central America, Mexico cracks down on the old trails north, forcing migrants into more dangerous territory. Told against the backdrop of the North American migrant trail, Border South weaves together migrant stories from different vantage points. Raúl O. Paz Pastrana (Director, Producer, DP), Ellen Knechel (Editor, Co-Producer). • The Burning Field –– The Burning Field is a uniquely intimate portrait of life in an environmental wasteland, as seen through the eyes of four Ghanian children who spend their days burning computers and other electronic appliances in the largest unregulated e-waste dump on earth. Justin Weinrich (Writer, Director, Producer, DP, Editor). • Charm Circle –– Catalyzed by her sister’s upcoming polyamorous wedding, filmmaker Nira Burstein delves into the most significant partnership she’s been witness to—that of her parents, which is in a constant state of chaos. A meditation on love, family, dreams and sacrifice, Charm Circle explores what makes marriage a tie that binds. Nira Burstein (Writer, Director, DP), Jameka Autry (Producer). • Chèche Lavi (Looking for Life) –– A month before the presidential election of 2016, thousands of Haitian refugees appear at the US-Mexico border in Tijuana. Among them are Robens and James, two friends whose American dream unravels in the eye of a complex geopolitical storm. With no way forward and no way back, what comes next for these travelers? Sam Ellison (Director, DP), Abraham Ávila (Producer), Rachel Cantave (Producer). • Flood –– A filmmaker tries to fix her problems with her evangelical father in a screenplay with a happy ending. When her plan backfires, she quits writing lines, starts to listen, and becomes a character in her own movie. • The In Between –– At the intersection of northern Mexico and Southwest Texas exists a symbiotic community spanning two countries. Through a collection of interweaving vignettes, The In Between explores the border and is a poetic ode to the greater reality of it, offering a nuanced and intimate portrait of a place and its people at the heart of Mexican-American identity. Robie Flores (Director, Producer, DP, Editor), Alejandro Flores (Producer, DP). • A Machine to Live In –– This sci-fi documentary paints a complex portrait of life and myth in the space-age city of Brasilia, a sixties-era architectural mega-project, and the flourishing landscape of cults, religious movements, and transcendental spaces that have emerged around it. The film is assembled from found documents and texts from key figures who were called to chronicle this monumental social experiment. Yoni Goldstein (Writer, Director), Meredith Zielke (Director, Editor), Sebastian Alvarez (Producer). • Socks on Fire: Uncle John and the Copper Headed Water Rattlers –– A failed poet takes up cinematic arms when he returns home to Hokes Bluff, Alabama to discover that his aunt has locked his drag-queen uncle out of the family home. Through a series of stylized reenactments and an editorial investigation into family VHS footage, Socks on Fire documents the fluidity of identity, personality, and performance in one particular place, among one particular family. Bo McGuire (Writer, Director), Tatiana Bears (Producer), Max Allman (Editor). • 1982 –– An 11-year-old boy is determined to tell a girl in his class that he loves her but has trouble finding the courage to do so until the unexpected occurs; an air invasion reaches Beirut and the school is being evacuated. He gets even more determined. • Aquí y Ahora –– Lara’s world takes an unexpected turn when she decides to leave her home country of Costa Rica for the first time to join a dance company in Berlin. • Clementine –– A heartbroken woman steals away to her estranged lover’s lake house and becomes entangled with a teenage girl. Lara Jean Gallagher (Director, Writer), Aimee Lynn Barneburg (Producer), Alexander Morris (Editor). • House of Hummingbird –– Seoul, 1994 — In the year the Seongsu bridge collapsed, a teenage girl named Eunhee wanders the city searching for love. Bora Kim (Director, Writer, Producer), Zoe Sua Cho (Producer, Editor). • Lost Bayou — After news of her mother’s death, a struggling addict ventures out into the Louisiana swampland to reconnect with her estranged “traiteur” (Cajun faith healer) father, only to discover he is hiding a troubling secret aboard his houseboat. Brian C Miller Richard (Director, Editor), Kenneth Reynolds (Producer), Hunter Burke (Producer, Writer). • Nhomlaau –– A young South Sudanese woman is staggering away from a past event that contradicts the way she was brought up. Tormented with guilt and condemnation, she tries to discover who she really is and seek liberty. Asantewaa Prempeh (Director, Writer), Natalie Eakin (Producer), Emily Iason (Producer). • Noah Land –– Omer struggles to fulfill his father’s dying wish to be buried under the “Noah Tree” – a tree his father swears he planted but the surrounding village believes that the tree was planted centuries ago by Noah the prophet. Cenk Ertürk (Director, Writer), Alp Ertürk (Producer). • Sanzaru As dementia engulfs her employer, a fragile home health aide begins to question her own sanity. Xia Magnus (Director, Writer), Alyssa Polk (Producer), Joshua Raymond Lee (Editor). • Saul at Night With an odd worldwide curfew in place, one man’s life of solitude is interrupted when he meets another woman who suffers from the same bizarre affliction that he does. Cory Santilli (Director), Kentucker Audley (Co-producer), Bart Breve (Editor). (Director, Writer), Anya Elnikova (Producer), Wayland Bell (Cinematographer). Under the leadership of IFP Deputy Director & Head of Programming, Amy Dotson, Senior Director of Programming, Milton Tabbot, and Senior Program Manager & Producer, Zach Mandinach, the Labs will support the creative teams as they prepare to finish and release their films into the world. Now in its fourteenth year, the IFP Filmmaker Labs support first-time feature filmmakers when they need it most: through the completion, marketing, and distribution of their debut narrative and documentary features. Each year, IFP selects ten narrative feature films and documentary feature films currently in post-production for the Labs. Through their participation, Filmmaker Labs Fellows receive support from IFP Staff and mentorship from leading industry members and filmmakers. Selected Fellows take part in three modules of the Lab: the Time Warner Foundation Completion Lab in May, IFP Week in September, and a Marketing & Distribution Lab in November. Over the course of these first five days of the Lab program, known as the Time Warner Foundation Completion Lab, Lab Fellows will receive knowledge, resources and mentorship in regards to editing, music composing & supervison, sound design, post-production budget, as well as developing marketing materials and festival stratagies, sales & distribution plans, and building a sense of career sustainability as independent artists. Alumni of the IFP Labs recently came off a successful year, on the festival ciricuit and in theatrical release. Recent projects of note include Elan and Jonathan Bogarín’s 306 Hollywood, Christina Choe’s Nancy, Paula Eiselt’s 93QUEEN, Nijla Mu’min’s Jinn, RaMell Ross’ Hale County This Morning, This Evening, Sandi Tan’s Shirkers, Cathy Yan’s Dead Pigs, and more. Past Lab Fellows launching new work this past year include Dee Rees, Chloé Zhao, Alexandre Moors, Matt Ruskin, Nanfu Wang, Laura Checkoway, Penny Lane, and PJ Raval, as well as many others that continue to expand their careers in audio storytelling, new media, and television, with past Lab Fellows writing or directing for shows such as Atlanta, The Girlfriend Experience, Girls, Queen of the South, and Queen Sugar. The IFP Filmmaker Labs are made possible by the generous support of our lead sponsor, the Time Warner Foundation, as well as the Academy of Motion Picture Arts and Sciences, the Ford Foundation, the Hollywood Foreign Press Association, the New York City Department of Cultural Affairs, the New York State Council on the Arts, and SAGindie. Together, we are partnering to discover, nurture and celebrate the next generation of storytellers. The Independent Filmmaker Project (IFP) champions the future of storytelling by connecting artists with essential resources at all stages of development and distribution. The organization fosters a vibrant and sustainable independent storytelling community through its year-round programs, which include IFP Week, IFP Labs (Film, Series & Audio Storytelling), Filmmaker Magazine, IFP Gotham Awards and the Made in NY Media Center by IFP, a tech and media incubator space developed with the New York Mayor’s Office of Media and Entertainment.